Voltaire once said, “The most important decision you make is to be in a good mood.” And while we all know there are things to make us feel down as we get older, the reality is that “looking on the bright side” has its benefits – for health and longevity. 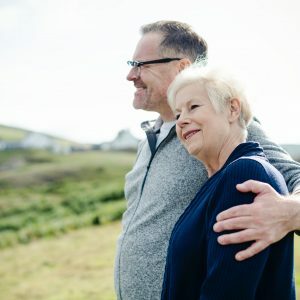 A previous agebuzz post highlighted the connection between a positive attitude and the risk of dementia. What’s even more evident now is that, despite worldwide demographic shifts as populations grow older, there still exists an enormous amount of ageism and negativity toward seniors. In fact, societies around the world vary in how respected their older citizens are, and this can have a profound impact on the health and well-being of those older individuals. In the United States, the health care costs attributable to ageism are enormous. A recent study out of Yale documented an estimated $63 billion in excess health care costs due to negative attitudes toward aging. Over the course of our lives, many of us have internalized these negative attitudes (something called stereotype embodiment theory) and we then behave accordingly. These attitudes have festered in us for decades to the point where we limit ourselves and blame our age for not engaging in certain activities, which can then have a harmful health impact. It’s important to resist negative self-perceptions and to stay curious and social, and yes, upbeat, regardless of your age or abilities. And for some role models to help you “get in the mood,” watch these happy seniors, who stay positive and engaged, despite their limitations.